Tell us a bit about yourself and your travel style. What are some of your favorite destinations? We like to be out in nature and plan trips a little bit differently, not just re-do the same experiences that everyone posts about on Instagram. Getting to places without a lot of tourists is ideal, though we also like to have unique adventures in popular spots. Some favorites include Yellowstone, Yosemite, hiking through New Zealand, and mountain biking through Norway. 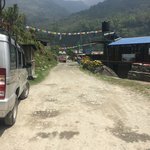 What got you interested in traveling to Nepal? Since we recently got married, adventure travel is a priority on our "pre-kids bucket list." We always felt it would be cool to go to Nepal, and as always, we wanted to do it with a local twist. 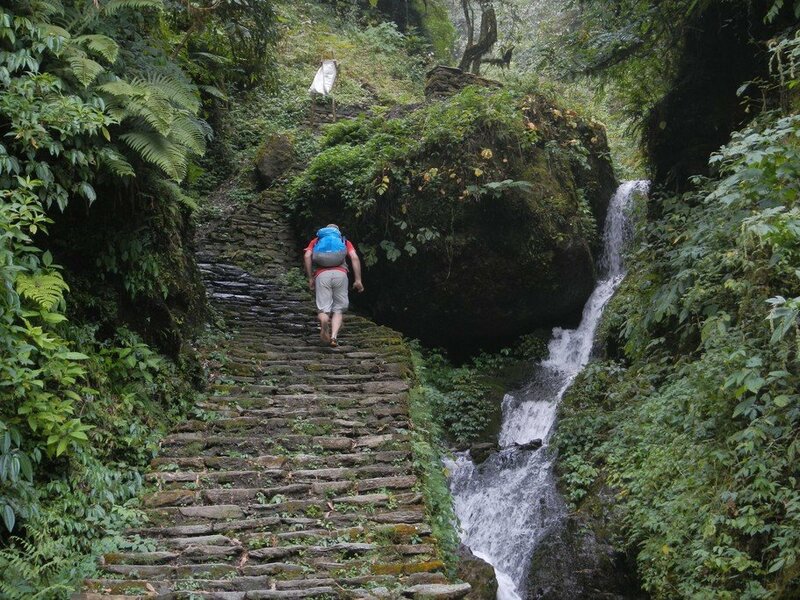 Himalayan Trails was amazing to work with—they adjusted our itinerary seamlessly when we had visa issues upon entering Nepal, and everyone was really flexible. It made our trip so much easier. 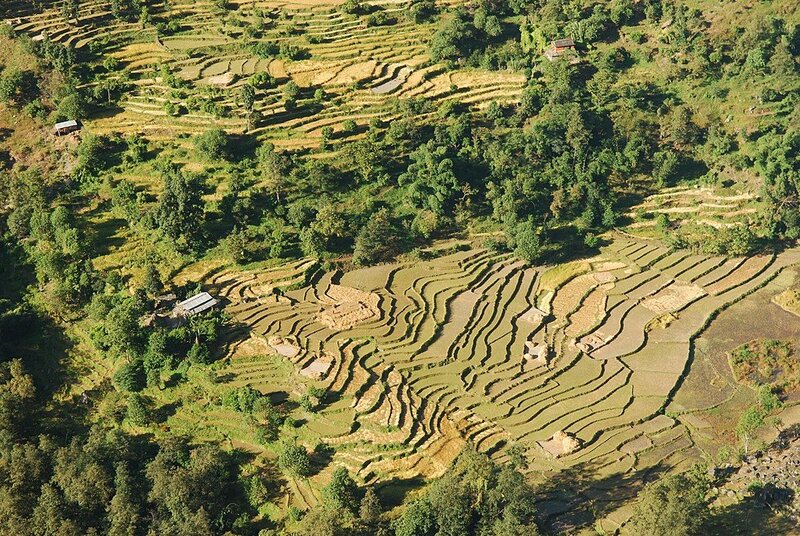 What are some particularly memorable moments from Nepal you'd like to share? Going into it, we knew that Khopra Danda was going to be the highest peak of our trek at over 12,000 feet (3,660 m). We opted for an overnight camping experience at the top, which meant spending the night at ridge camp in a simple tent. We knew it would be a challenge and wanted to do something epic, and it ended up being both. In the morning, we had a sense of real achievement. When we went to bed, it was cloudy and the temperature dropped to 10 degrees Fahrenheit overnight, with ice crystals forming on the tent. In the morning, we woke up to clear skies and the sun rising between peaks. The cold was totally worth it—this was an almost spiritual experience. Tell us how cultural experiences enhanced your trip. Culture was a big part of why we loved Nepal. Being high in the Himalaya made us really appreciate the food and supplies that were available to us. Everything you eat, every piece of toilet paper you use, someone had to carry it for hours into the mountains. One night we were served a delicious curry with only three small cubes of chicken in it, but it was so much more satisfying knowing how much energy went into the meal. It definitely led to increased appreciation and mindfulness about how fortunate we are back home. Do you have advice for travelers interested in doing a trip like yours? 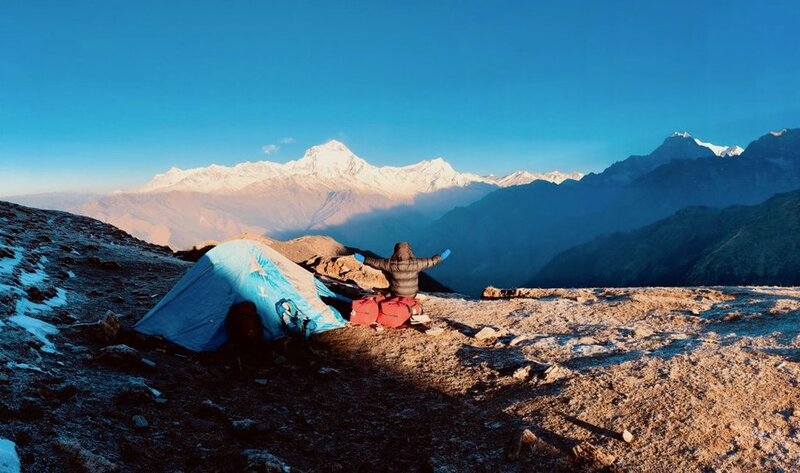 Spending the night in a tent on Khopra Danda was very extreme—but it was the most incredible, memorable experience and definitely worth doing. We recommend training ahead of time—we didn't work out at all leading up to the trip, and regretted it. Also, be prepared for altitude sickness. You may be out of commission for a day or two, but your guides will be expertly prepared to help you handle it. Last but not least - where are you going next?